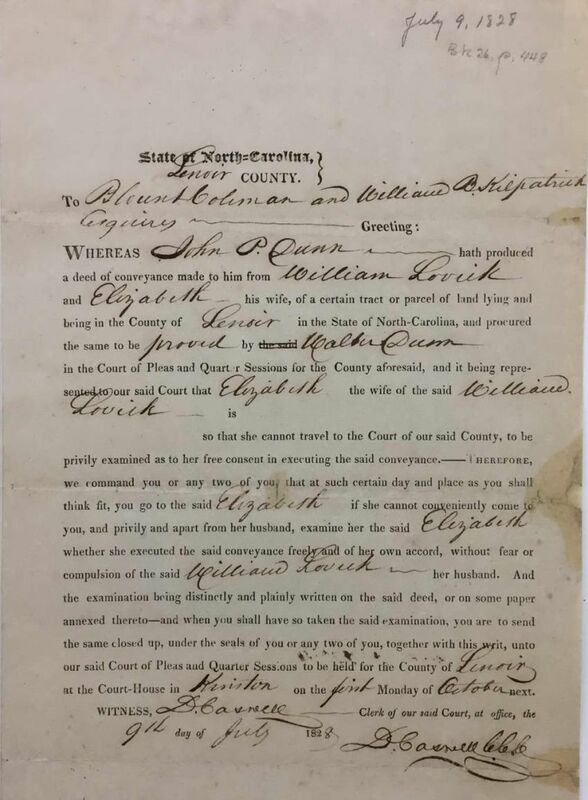 9 Jul 1828 - John P. Dunn produced a deed of conveyance to court made to him by William and Elizabeth Lovick, land in Lenoir County and witnessed by Walter Dunn. Deed proved in open court on the oath of Walter Dunn who swore he saw William Lovick sign the deed. Ordered to be registered. 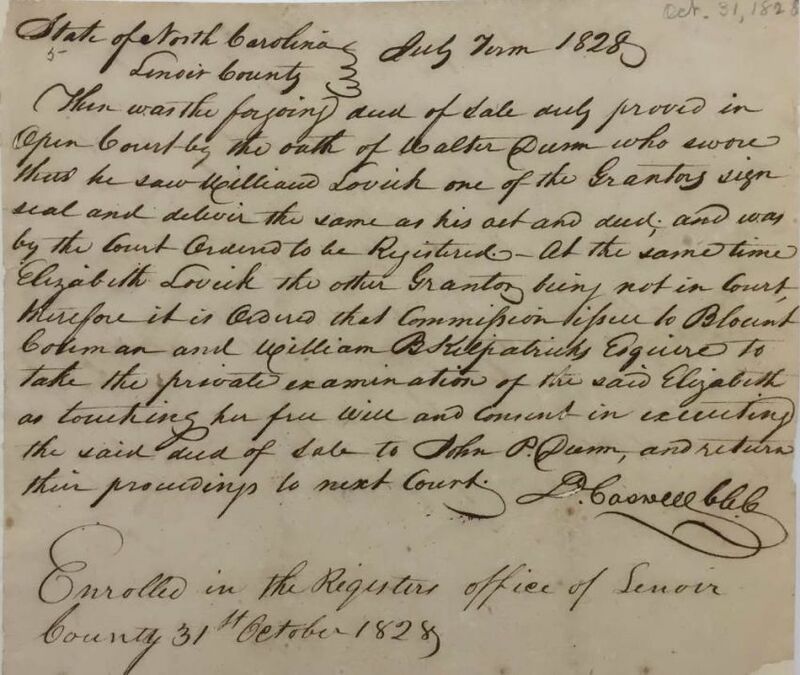 At the same time Blount Coleman and William B. Kilpatrick to take private examination of Elizabeth as touching her free will in the execution of the deed. Enrolled in the Registers office of Lenoir County 31st October 1828.